Having worked with Craig last year I was interested to see what had stuck and what other areas needed work. He made the trip from New Zealand and I set about working on footwork and body positioning in corners and also the push technique too. We worked on his bug bear, drops. I worked heavily on this and soon had Craig landing perfectly on the the 1st two drops and found a protective mechanism on the 3rd drop which although he rode it didn’t ride as smoothly as the other two and this affected him. 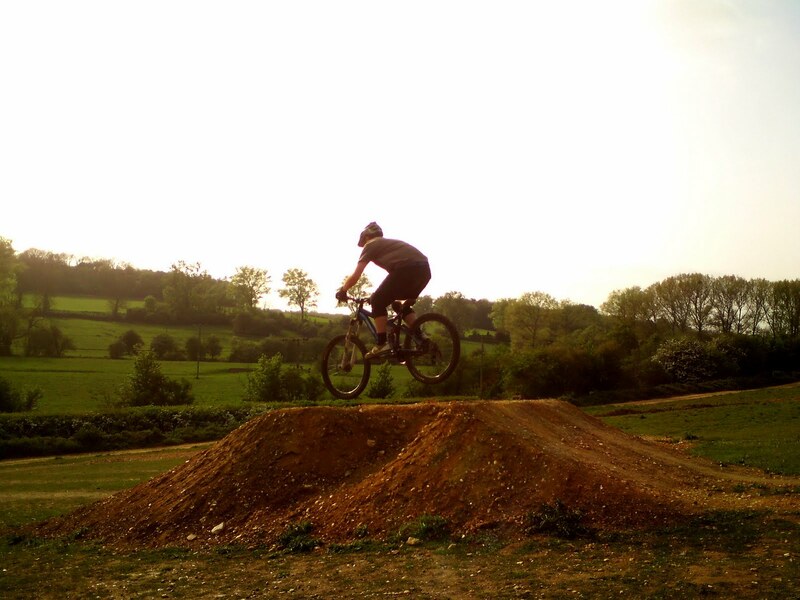 We then worked on drops into corners and still affected by the larger drop he couldn’t relax and got agitated, even saying after seeing all the previous blogs of riders doing jumps/gaps he felt like he was failing, not so! 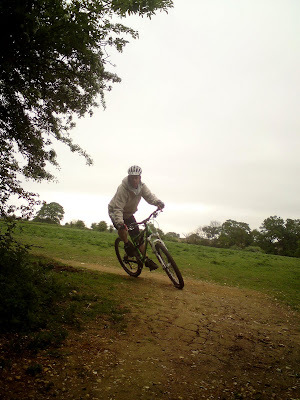 I then brought him right back to cornering alone and we worked on flat, bermed and switchback corners and soon he was linking them together nicely and the smile began to appear. I showed him the 2 pushes of the speed manual and he soon got that technique dialled too. We linked the entire trail together and he soon began to really fly as he relaxed more and more. We linked corners, rocks, steps, drops and fly outs . The smile was back on his face and confidence and concentration was back again. Lastly, and to his surprise we worked on something Craig had never done, jumping! Using the 6ft tabletop I took him through my steps that ensure comfortable progress and to his amazement he sailed over the table top and smiled like a Cheshire cat. 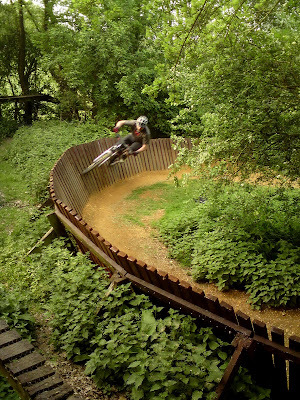 Time after time he rode it landing perfectly and even rode the gap jump side loads too. The session ended and I can’t wait to see Craig’s improvements next time! Rich, James and Scott came to me wanting to progress their jumping and drops and also work on carrying speed through corners. After the skills check, I began correcting the faults I had found and set about making good their riding and their wish. We began on the 3 drops and in no time at all they were landing perfectly. I worked on their body positions in flight so they could begin to style it a bit too! I then began working on cornering and linked the drop into a berm. 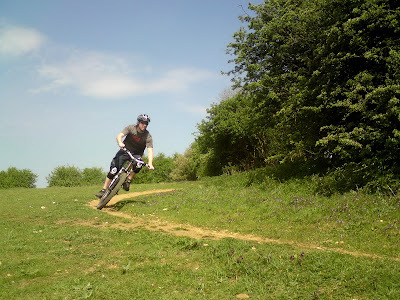 We worked on line choice as well as braking areas and soon they were riding fast but smooth. 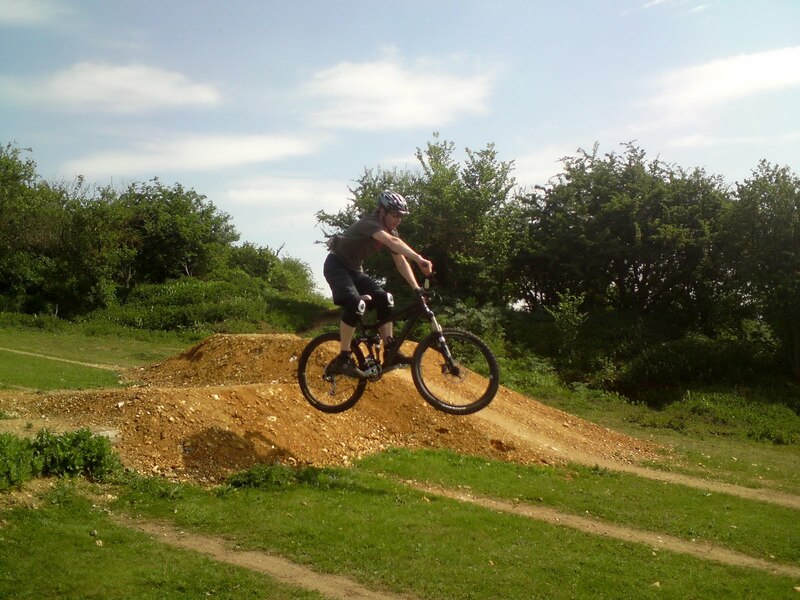 I then began working on the jump technique and we linked that to corners and rode the entire coaching trail end to end a few times and they all used great footwork, body position and looking to fly down the trail. Next, I began working on jumping tabletops and the gap side also. After my demo, they all began to land on the transition perfectly and even rode the gap side a good few times too. 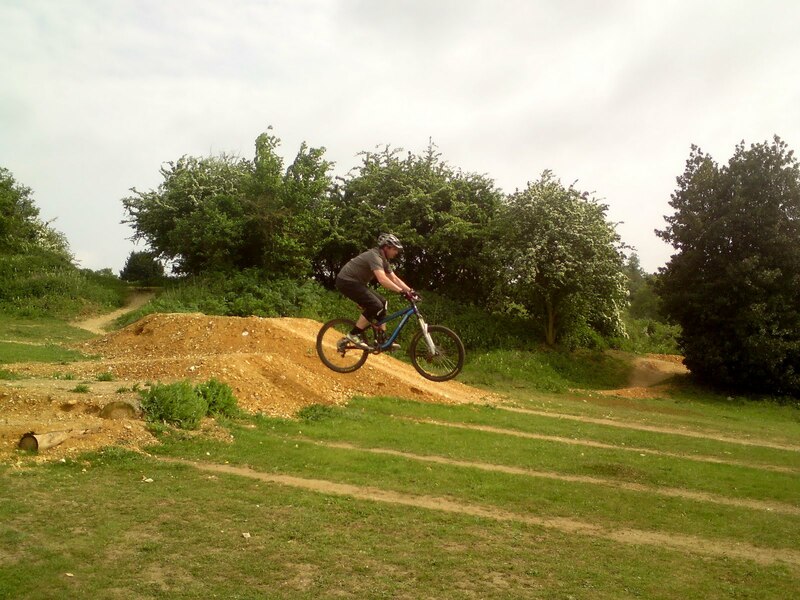 We then moved onto a 9ft gap jump and they used their mental skill set to great effect as they all rode it smoothly and confidently and linked it to the berm that followed too! Lastly I worked on riding wooden berms and after a few confidence issues they all railed it time and again using correct looking and footwork too! The session came to a natural end as they began to feel tired and I ended with a demonstraion of the skill set being used on the woodwork trails there. Tegwen came to me to build on her already present skill set and the skills check showed me what was missing and also present. I found footwork, body position and looking faults during the check and set about correcting them. The first technique was the push to unweight the front end and as soon as that was working we moved onto the drops to apply it. In no time at all, Tegwen was landing controlled and confidently on the drops and the ease of it surprised her. I worked heavily on this technique to really embed it. We then worked on the pumping technique and used the parallels in her snowboarding to gain momentum from the trail. We then linked it to the corners present on the trail. flat bermed and switchbacks were ridden and footwork and looking was worked on. 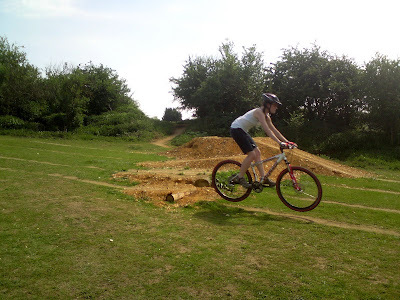 We linked pump bumps, corners, steps, rock gardens and fly outs and Tegwen really began to ride smoothly. for 70 meters of trail she took 4 seconds of her ride time as she used the trails energy and the skill set to great effect. Tiredness brought an end to our session and I can’t wait for her future ride updates as always. I coached Travis a year ago and it was good to see that session had paid dividends in his riding but a washout in a loose corner knocked his confidence. During the skills check I picked up why this happened and I set about correcting his body positioning in corners and also building back his looking too. We went to the drop sections and Travis rode them confidently and I worked on his body position during flight and landing. 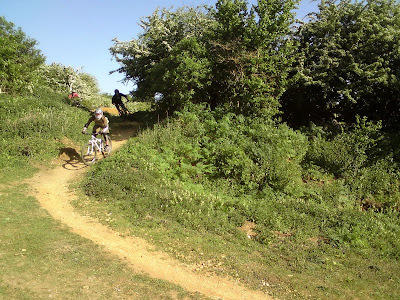 We then moved onto the skills trail and I worked on his cornering on flat,bermed, off camber and switchbacks. 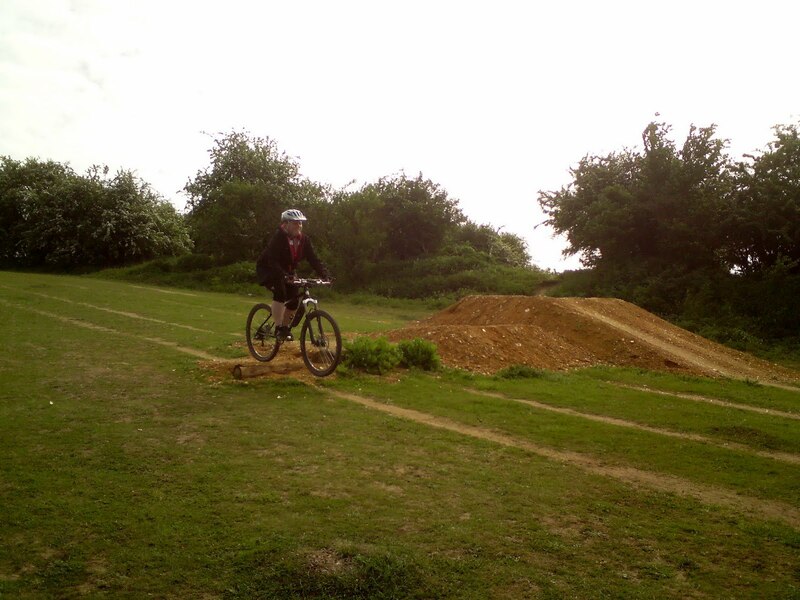 We then linked them to pump bumps using the speed manual, rock gardens, fly outs and steps. I worked on line choice when linking drops into corners and Travis really began to fly along the trail. We both rode the trail end to end a few times and on his final run he took 9 seconds off his first run for the 200m trail to be the 2nd fastest rider along that trail and he said he felt smooth and perfect, he was! 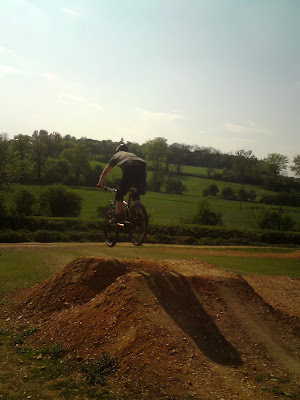 I then moved onto jumping using a table top and also his big fear of gap jumps. In no time at all Trav was landing perfectly on the tabletops transition. He then used his mental skill set to ride the gap jump on his own accord and rode away smiling every time. Finally we moved onto a wooden berm to work on carrying speed into them so he could handle ny he came across on his holidays abroad. Our session ended when Travis declared he was tired and it ended with a demo of the skill set in use by myself on the woodwork trails. After attending a jumps and drops public session , Ian came back for a one to one session. During the skills checks I found body position faults and set about correcting these. I covered basic pumping and also the speed manual, Ian picked these up very quickly indeed. We worked on flat, bermed, off camber and switchback corners and linked them into pump bumps, fly outs , rock gardens, steps and linked them into drops. We worked our way down the trail, linking each section to the next using the correct baking zones. By looking further along the trail Ian began to get faster and faster as his footwork and body position was used to maximize his speed management. I worked on connecting to the trail and using the trails energy instead of his own. 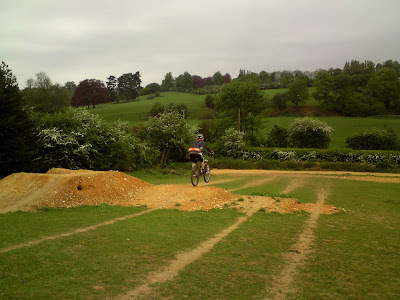 We worked heavily on linking corners into drops and into berms. Here I worked on line choice too and Ian really began to fly. We rode the entire trail end to end a few times and Ian really started to shift fast but controlled and ended the day as the 3rd fastest rider I have had on the trail to that point. 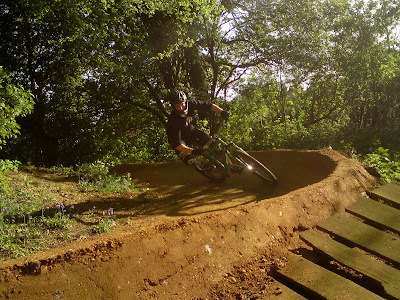 The final technique we worked on was riding wooden berms, some call them wall rides but as they are not vertical they remain berms. 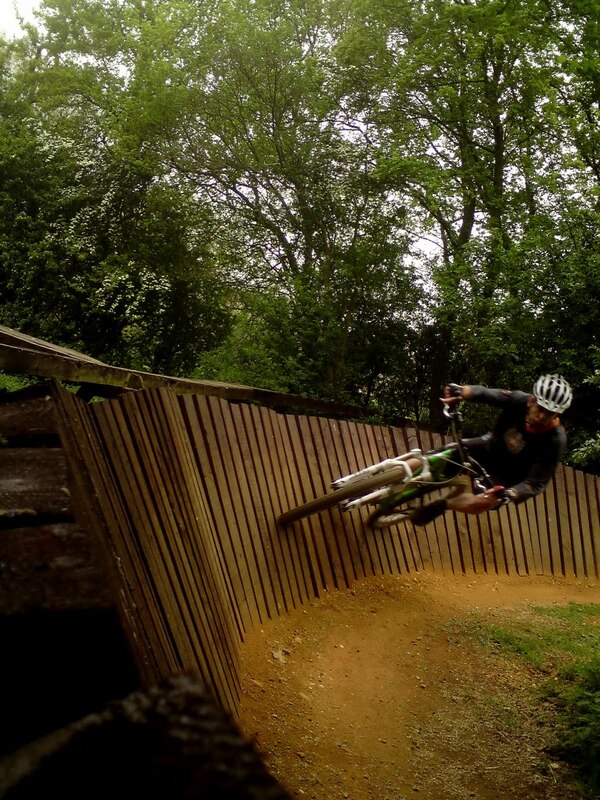 Ian used his own speed management to go fast and smooth through the entire berm using footwork and looking to control his arc. James and Frankie came to me for an overall skill polish but looking to getting their wheels in the air. Frankie had a low in confidence after a few rides that she crashed during and didn’t know what she was doing wrong. I discovered why this was happening during the skills check and also uncovered some great habits in James too. To Frankie’s surprise, she was landing perfectly straight away and her worried look turned into a massive smile. I worked with James on body position in the air so he could begin to style it and not be stuck in a dead sailor whilst in the air. 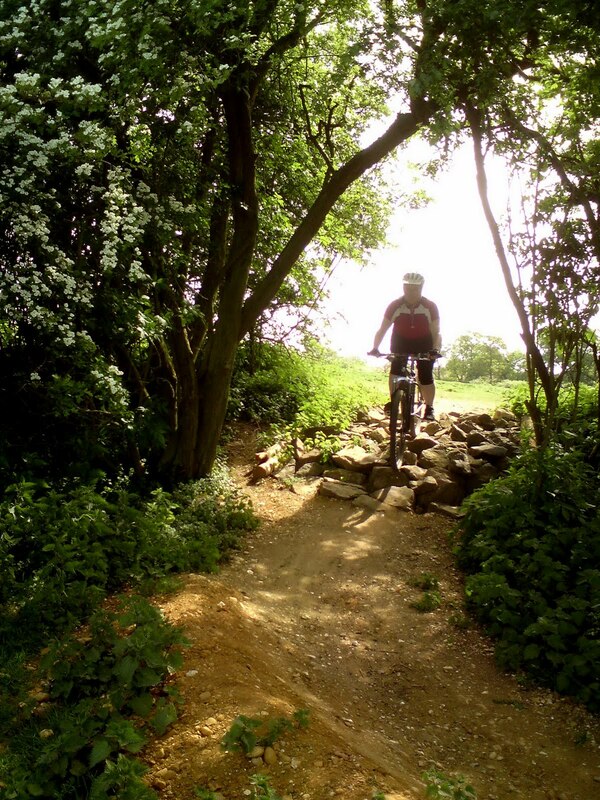 I then moved us onto the trail where I worked heavily on footwork, looking and body positioning with them both. I showed basic pumping to begin with and a more advanced technique called speed manuals. We worked on flat, bermed, switchback and off camber turns. Rock gardens, drops, steps and fly outs and we linked them together using their exit’s and entry’s . We worked down the trail methodically, always linking the next section to the previous ones and the flow and speed really began to happen. Both James and Frankie were flying and in a 70 meter section shaved 3 seconds off which is a big difference. 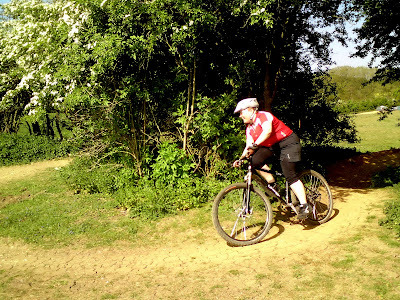 Fewer and fewer pedal strokes were used as they used the trails energy rather than their own. 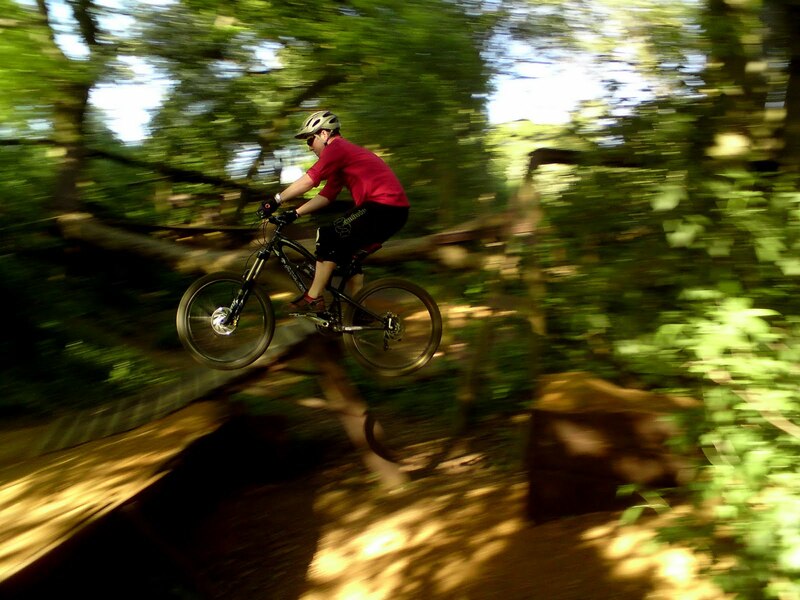 After a few runs of the complete trail we moved onto our final technique of the session, jumping. I have a very successful way of coaching jumping and in a very short space of time both were flying over the 6ft tabletop and landing perfectly. 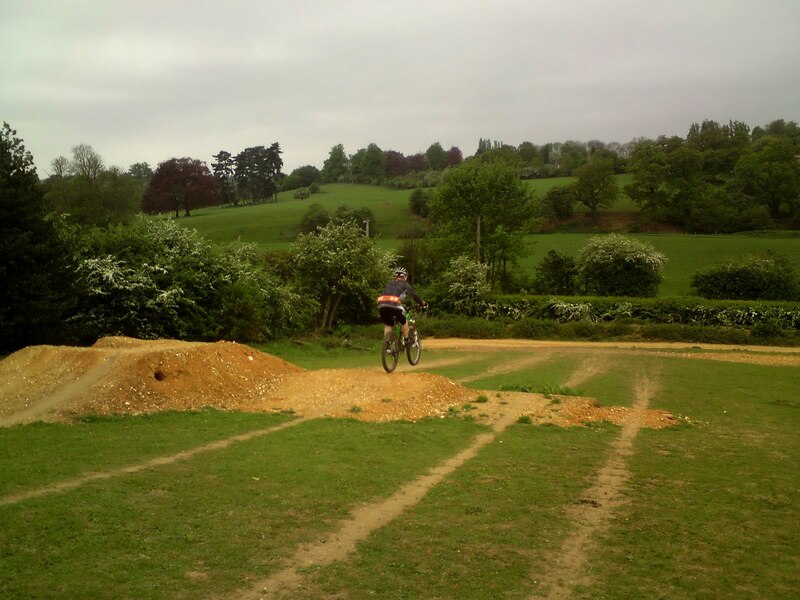 James couldn’t believe how smooth it felt and even used his mental skills set to ride the gap jump side too! The heat of the day meant fatigue came on fast and I called an end to an awesome session and I’m looking forward to their ride updates! Chris, Nikki, Beth and Tom came to me as a family wanting to share a skill session so they could develop together and share the experience. I made loads of set up changes to their bikes to enable them to be in control and to give them confidence in their control. I worked on looking and footwork with them and Taught them how and why we push to unweight the front of the bike. We went to the drop technique as I would with anyone and we applied this push and to their amazement they rode off the drops. We moved onto cornering and we worked heavily on this and added pumping and a rock garden to deal with and we linked them together using their entry’s and exits. We took breaks to ensure we kept the tiredness away as long as we could. Tom really got the hang of pumping. Beth used her new riding position to feel in control all of the time and used her footwork in corners. Chris started to feel more fluid as the session progressed and he stopped over analyzing and Nikki really flew along the trail, reveling in her new skill set. Finally we moved onto the pump trail and they all began to pump the up and down slopes and gained speed from it, even getting the wheels up in the air too. We ended the session as tiredness crept in. What a great session guys!